After Liberia’s civil war ended in 2003, Rebecca Benson answered her government’s call to go back to the land, by taking up rural farming after the conflict. Liberia was counting on agriculture to help rebuild the national economy and decrease its dependence on costly rice imports. Benson cultivates mostly rice and rubber on 22 hectares of land in northern Liberia and has won national prizes for her upland rice crop. Thanks to the efforts of farmers like her, Liberia has seen its rice production increase in the past few years, though the country is still grappling with widespread hunger and poverty. In rural communities worldwide, women play a key role in agricultural production and income generation. Many of the tasks which rural women perform, though indispensable, are difficult to quantify, such as clearing land and sowing seeds, gathering wild plants for food and medicine, hauling water and wood, and keeping small livestock for household use. This, combined with deeply ingrained societal biases which place little value on women’s work, can render the contributions of rural women virtually invisible. The lack of recognition for women’s responsibilities often extends to the additional stresses and hazards which they face, such as the loss of livelihood when sexual violence leaves them injured or afraid to return to the fields. Many women are overburdened when their multiple agricultural responsibilities are combined with their roles as mothers and family caretakers. “Narrowing the gap between the general perception of rural women and their actual contributions and needs is essential to reducing hunger and improving lives in rural, developing areas, which are home to 70 percent of the world’s poor and hungry men, women and children,” says Eve Crowley, Principal Advisor in the Gender, Equity and Rural Employment Division at the Food and Agriculture Organization of the United Nations (FAO). As the UN’s lead agency for agricultural and rural development, FAO is in the midst of hosting a series of high-level encounters on the increasing numbers of hungry people in the world. The events, which will culminate in the 16-18 November, 2009 World Summit on Food Security, present a vital opportunity for experts, policy makers and civil-society organizations to develop more effective and sustainable agricultural and rural development policies. “One of the cross-cutting issues to be reckoned with at every level in rural development is how social and economic inequalities between men and women can stand in the way of food security for an entire household, nation or region.” says Crowley. The idea of honouring rural women with a special day was put forward by international NGOs at the Fourth World Conference on Women in Beijing in 1995. It was suggested that 15 October be celebrated as “World Rural Women’s Day,” on the eve of World Food Day, in order to highlight the role played by rural women in food production and food security. 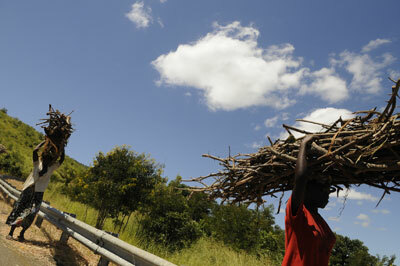 “World Rural Women’s Day” has been celebrated, primarily by civil society, across the world for over a decade. 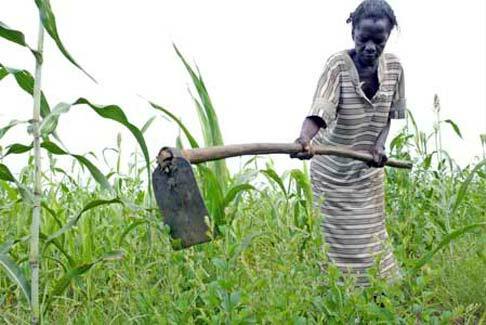 The first International Day of Rural Women was observed in New York on 15 October 2008. 1 ILO (2008). Global Employment Trends for Women. Available from: http://www.ilo.org/wcmsp5/groups/public/---dgreports/--- dcomm/documents/publication/wcms_091225.pdf. The ILO defines ‘employed’ as “a person who performed some work – for at least one hour during the specified reference period – for wage or salary (paid employment) or for profit or family gain (self-employment). A person is also considered employed if they have a job but was temporarily not at work during the reference period” (p.29). 2 Madonsela, Winnie S. The impact of trade liberalisation in the agricultural sector on African women: Links with food security and sustainable livelihoods. 3 World Bank, World development report 2008, Agriculture for Development, Washington DC.